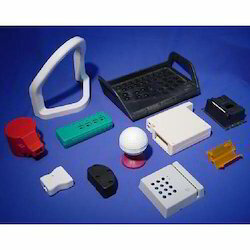 Leading Manufacturer of customize industrial plastic parts from Rajkot. Being a customer oriented firm, we are engaged in offering a wide range of Industrial Plastic Parts as per custom requirements. These parts are manufactured using optimum grade raw material and sophisticated technology in synchronization with industry standards. In order to ensure quality, the entire range is rigorously tested on various parameters by experts. Keeping in mind the diverse requirements of our clients, we provide the entire range in various sizes and specifications and at affordable price.